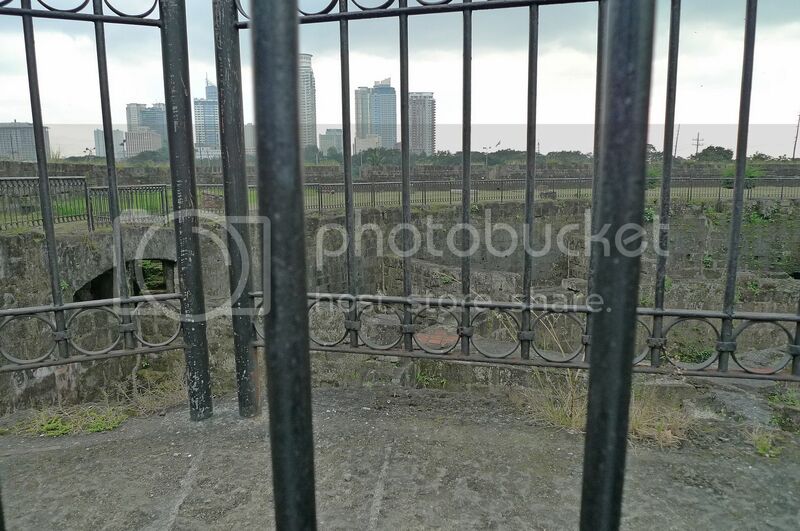 My pedicab driver told me he would bring me to see cannons next after Casa Manila, but along the way, we stopped by several places of interest in Intramuros. 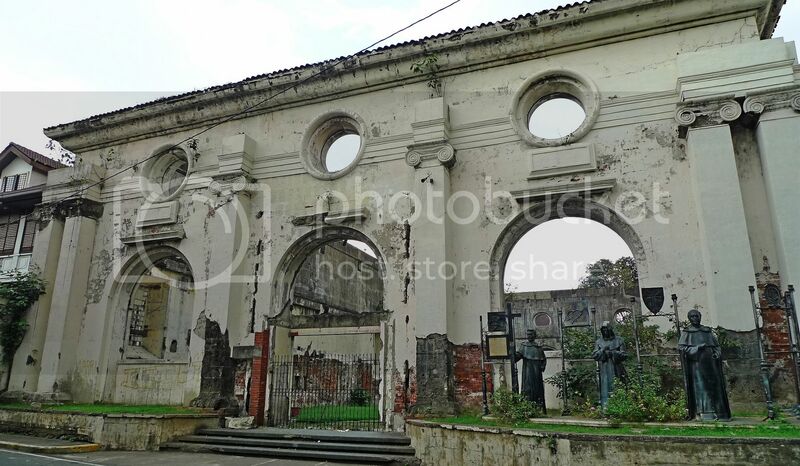 The first one was this San Ignacio Church ruins. 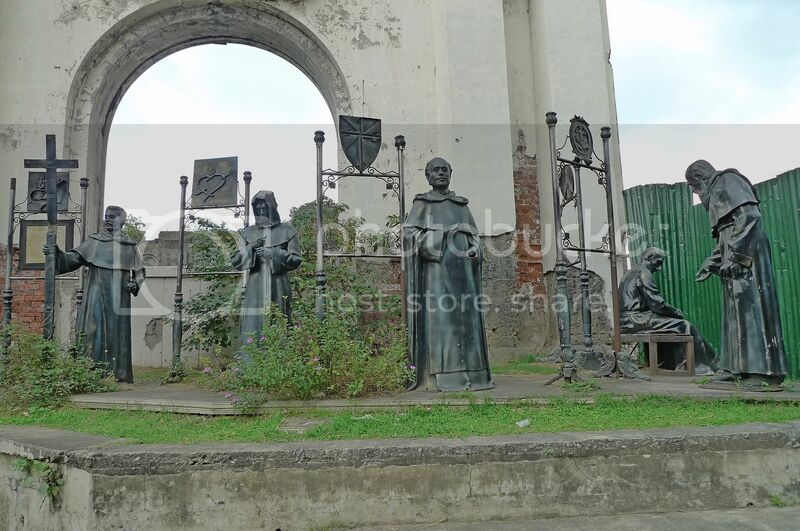 There were five statues in front of the church ruins. Wait! I am not sure if they were in front or behind the church actually! Haha! I don't know what exactly these statues represent as there were no information marker here. 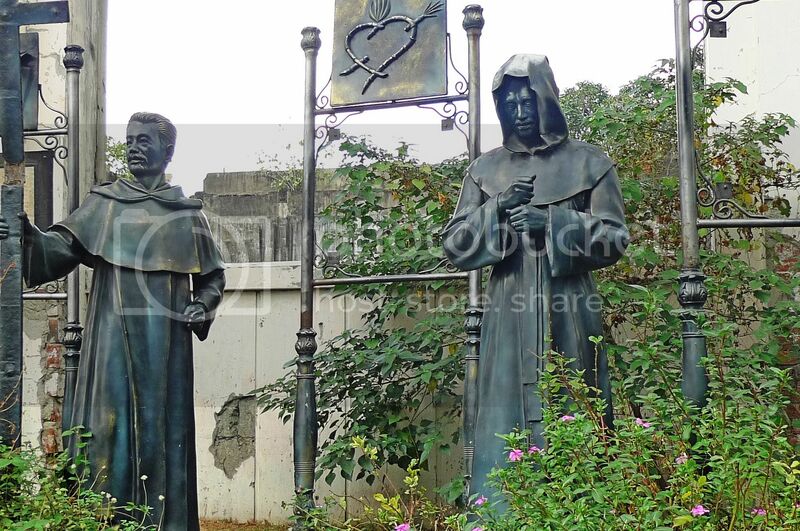 But I found out via Google Search that these statues symbolise the five religious orders to arrive in the Philippines - Augustinians, Franciscans, Jesuits, Dominicans and Recollects. You can find further details HERE. After that, I passed by a building but I was not sure what building this was! If you are a Filipino reading this and you know the answer, please let me know. Thanks! I also saw a building undergoing some repairs or renovation. Wonder what building this is! 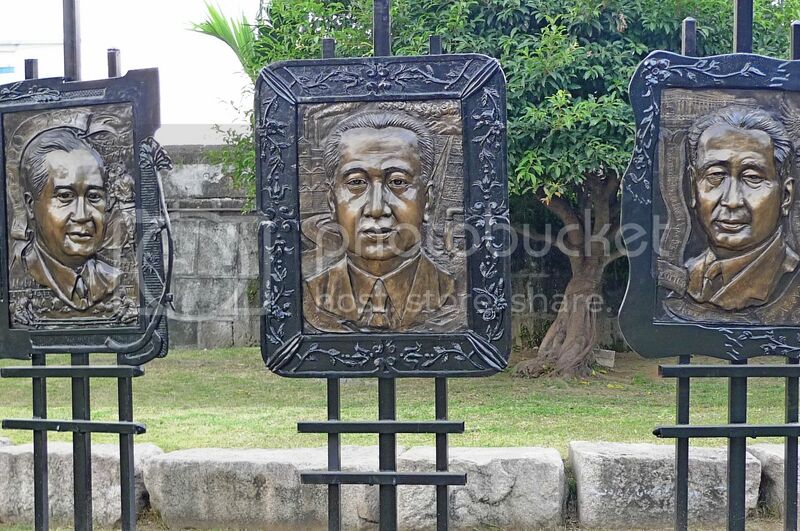 Soon we reached a place where I could see a parade of all the past Presidents of the Philippines! Please click on the picture below to enlarge it. But wait! I thought there are supposed to be 14 Presidents. How come only 13 here? Who is the one missing?! 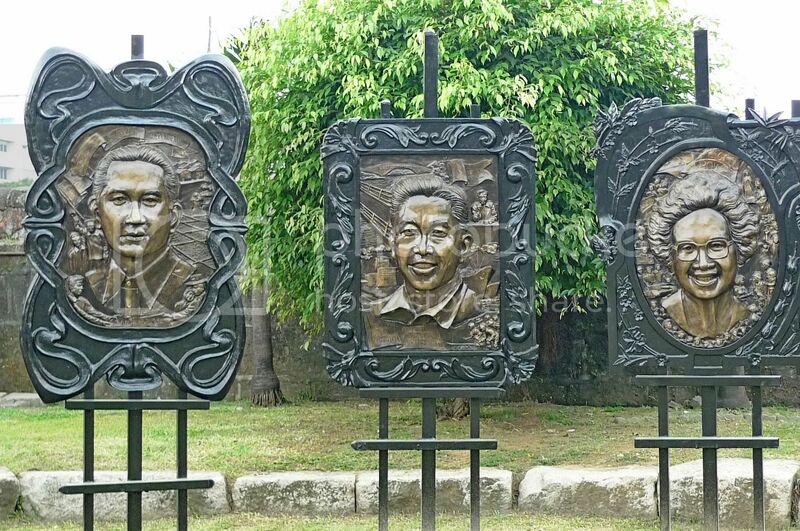 I am not very well versed with the names and faces of the Presidents in the Philippines so maybe you want to help me out here? 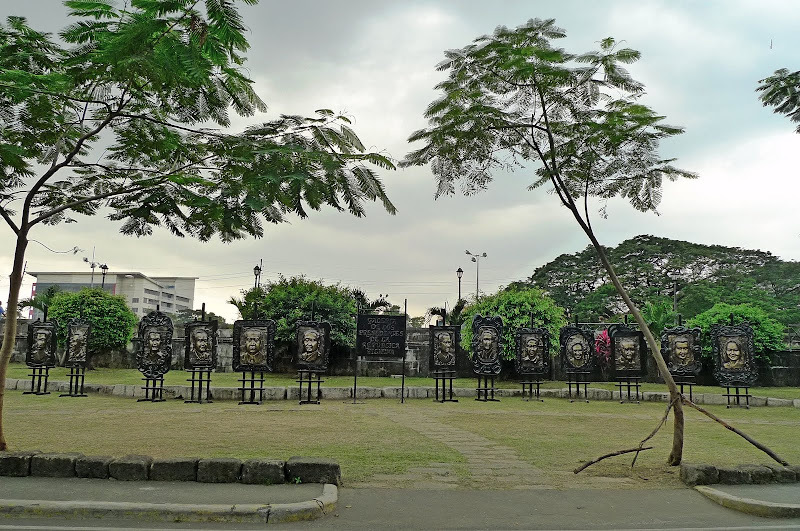 Using the List of Philippines' Presidents from Wikipedia, let's see if we can guess the identity of these presidents correctly, shall we? 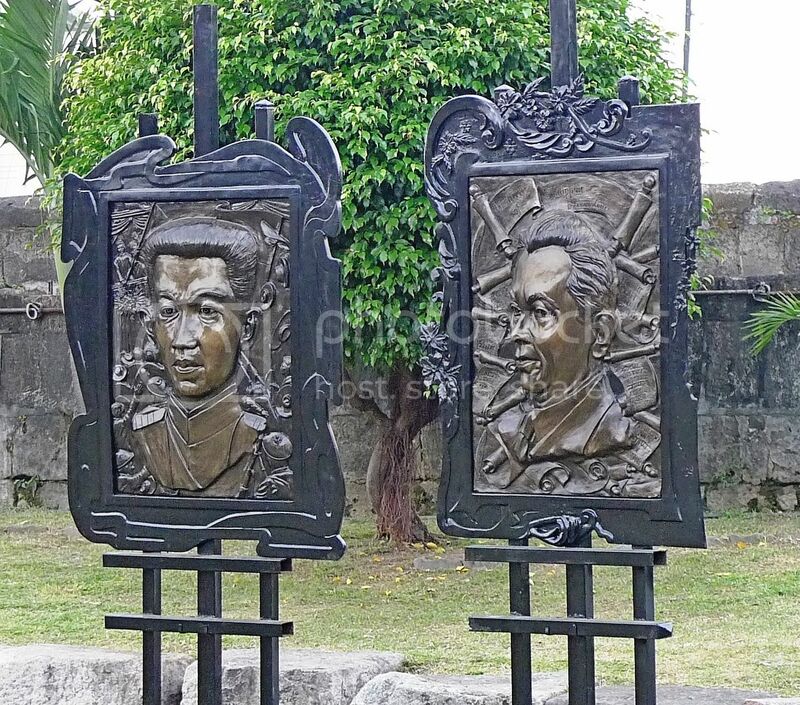 Emilio Aguinaldo and Manuel L. Quezon - the first and second Presidents of the Philippines? Who are these three? Anyone can help here? 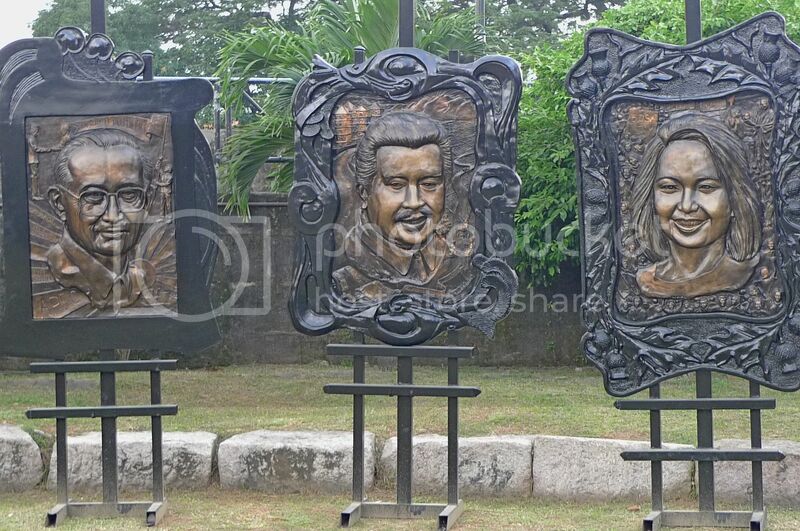 Diosdado Macapagal, Ferdinand Marcos, Corazon Aquino - I hope I am correct! Fidel Ramos, Joseph Estrada, Gloria Macapagal-Arroyo. Quite sure I got it right here! OK, I know I did not include two other Presidents here. Forgot to take pictures of them both. Haha! 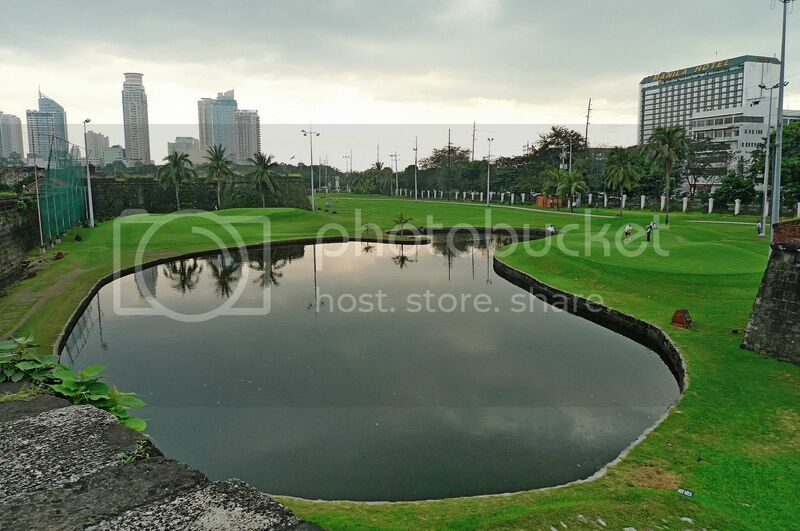 After that, my pedicab driver stopped somewhere and got me to climb up someplace high to show me the Intramuros Golf Course. It was a really nice view! 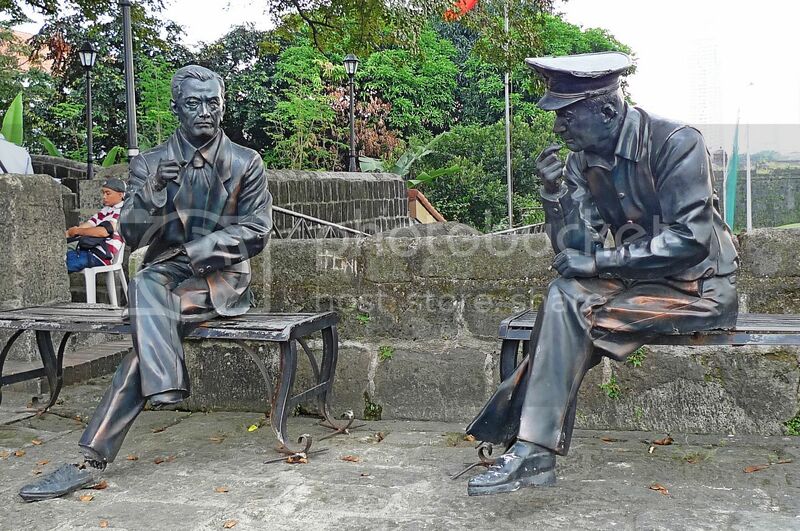 I also saw these two black statues sitting on the benches up here. I wonder who these two statues represent! But look! Parts of the legs and hand are missing! Oh no!! 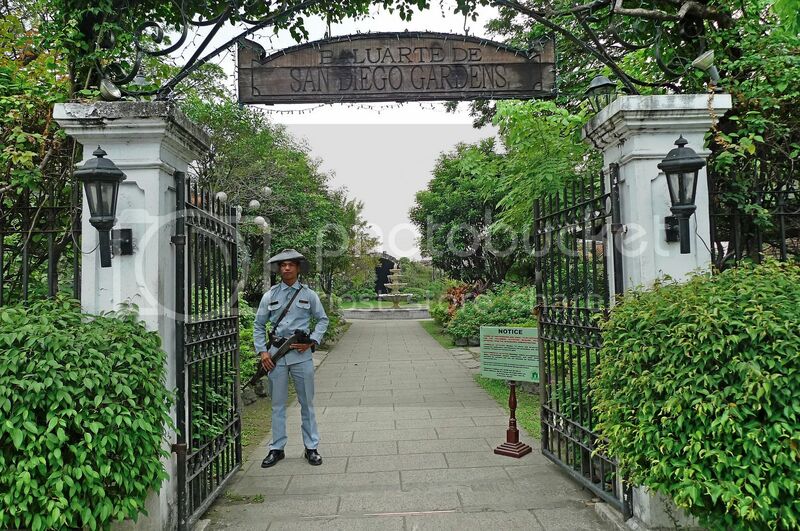 Finally, we reached Baluarte De San Diego Gardens. 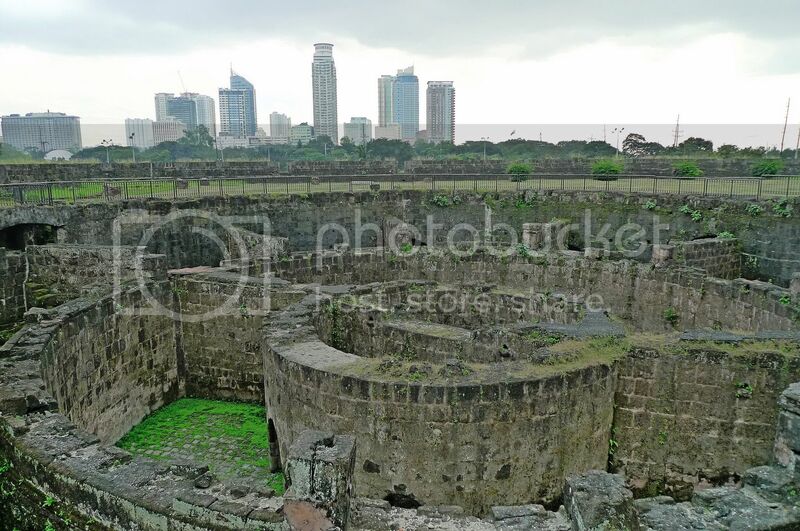 The word Baluarte means bastion or fortification so I expected to see a fort or something here! I like the guard dressed all in blue and wearing a blue hat as well! Nice uniform! If not mistaken, I had to pay 75 pesos (RM5) to enter the garden. 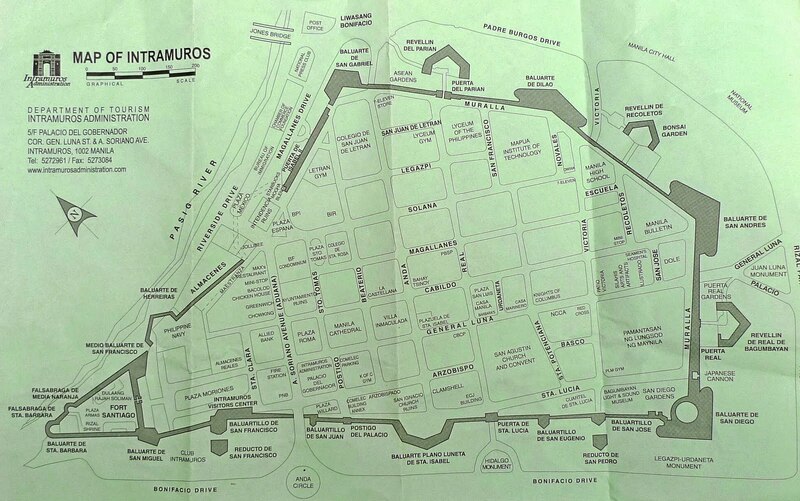 Can you spot the Baluarte De San Diego on this map below? Please click to enlarge. It's located along the Intramuros wall on the right bottom corner of the map. 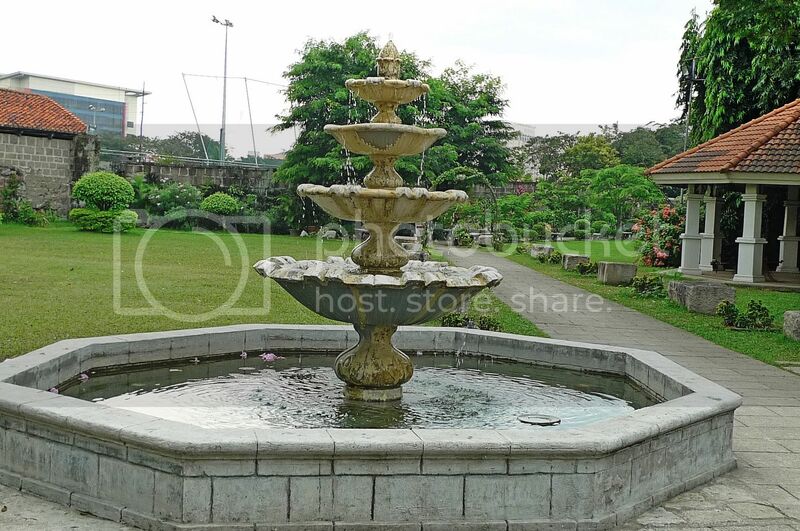 There was a nice fountain in the middle of the garden. I also took photo of this. 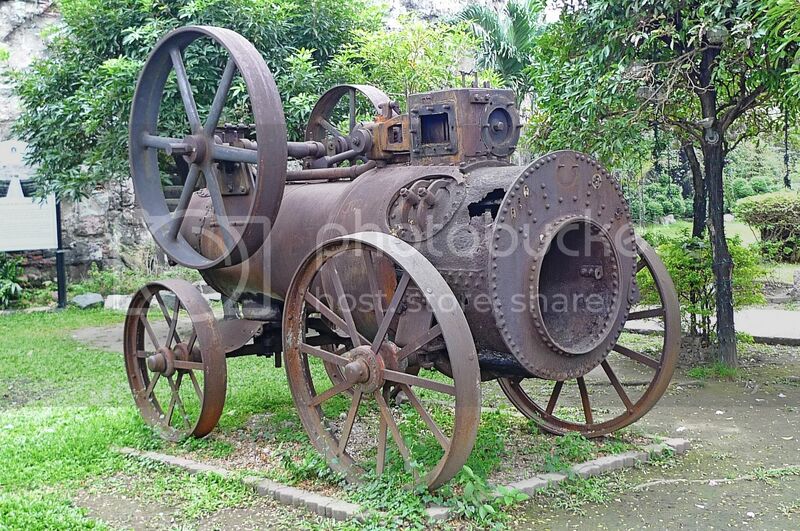 Do you know what it is? 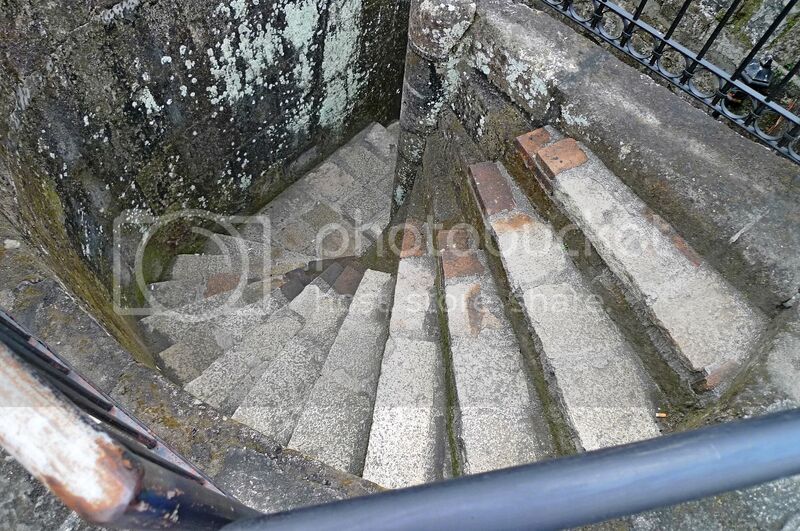 And then I saw this series of steps going up. I climbed up the stairs wondering what I would see up there! And then I reached the top of the stairs. Looking down I saw this! Wow! 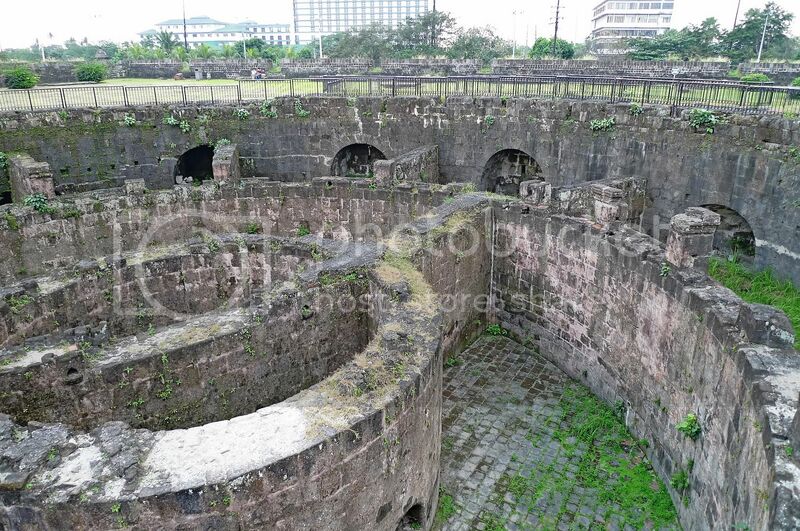 So this is how the Baluarte De San Diego looks like! It was huge! 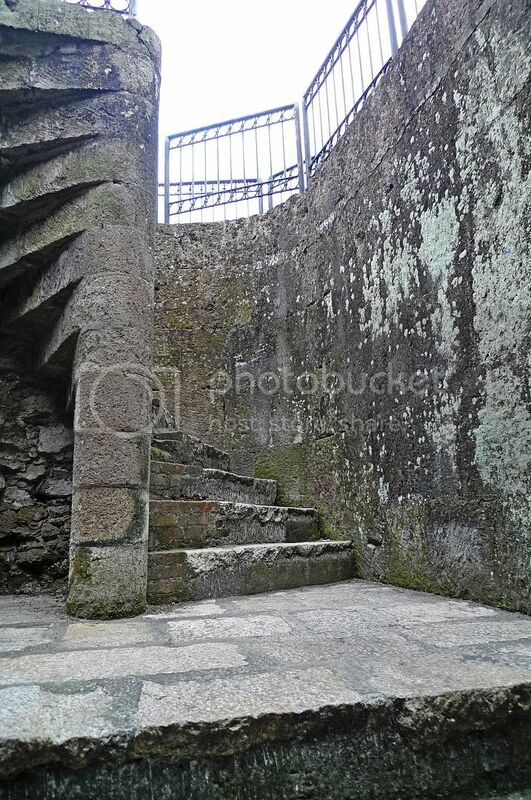 Originally a circular fort encompassing the defence of land and sea known as Fort Nuestra Senora de Guia designed and built by Jesuit priest Antonio Sedeno in 1586, it was renovated and rebuilt a few times. 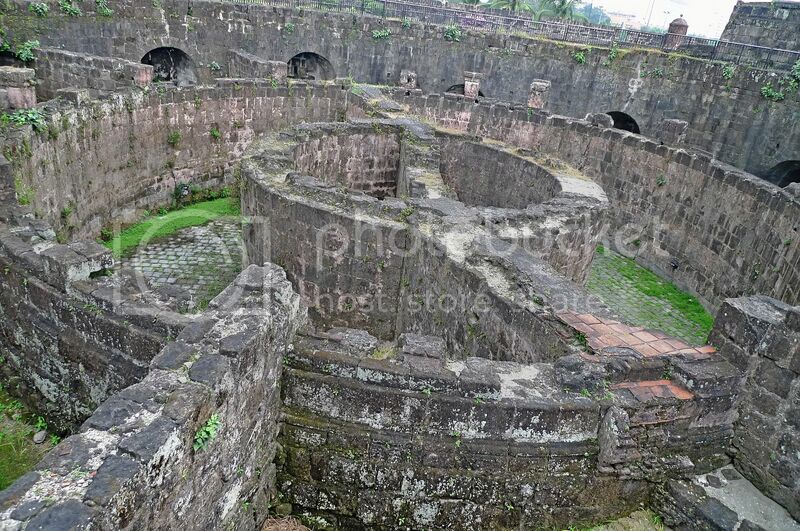 A new Baluarte was constructed in the 17th century shaped like an ace of spades. Breached during the 1762 British invasion and destroyed during World War II, San Diego was restored during the 1980's. 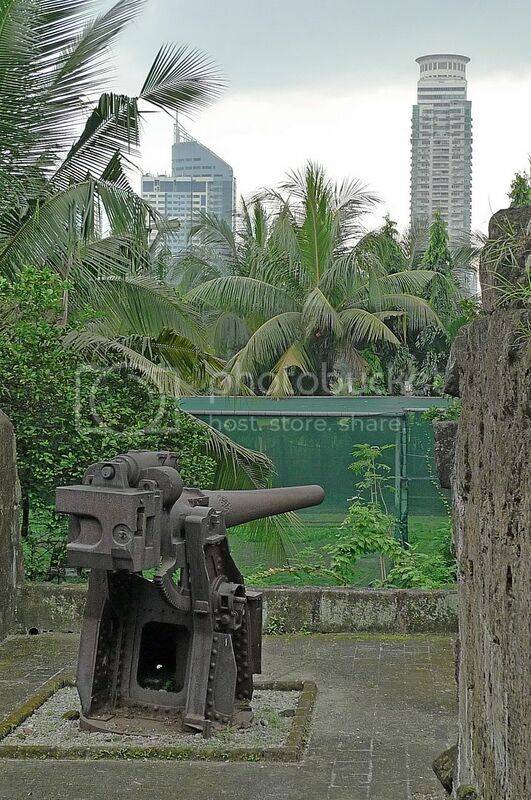 I found it a little strange to see the ruins and the modern skyscrapers of Manila City together in the same scene. 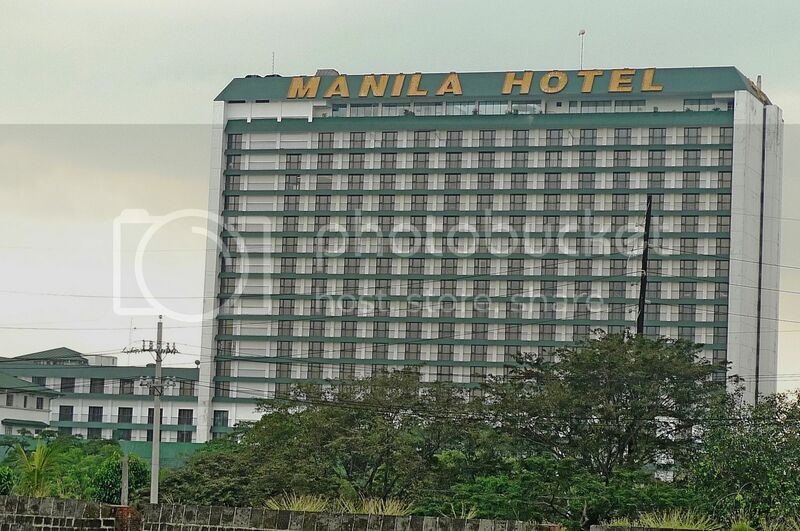 I could see the Manila Hotel from here. 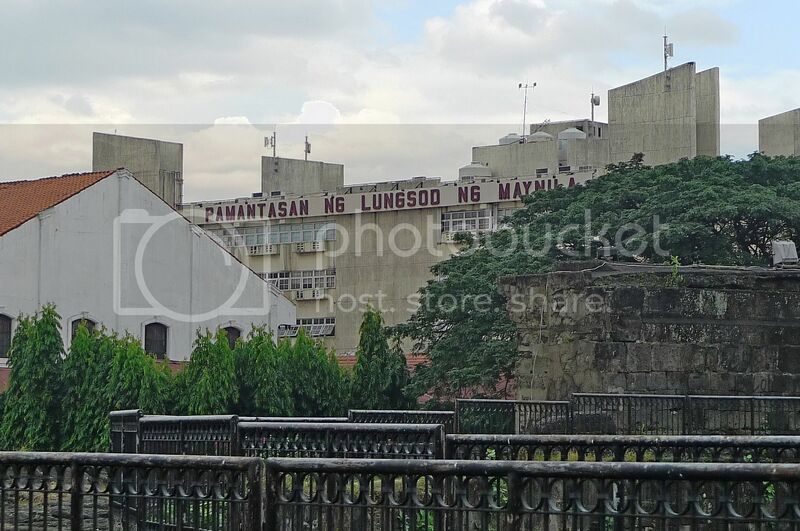 I could also see the Pamantasan Ng Lungsod Ng Maynila which my driver pointed out to me to be the University of the City Of Manila. 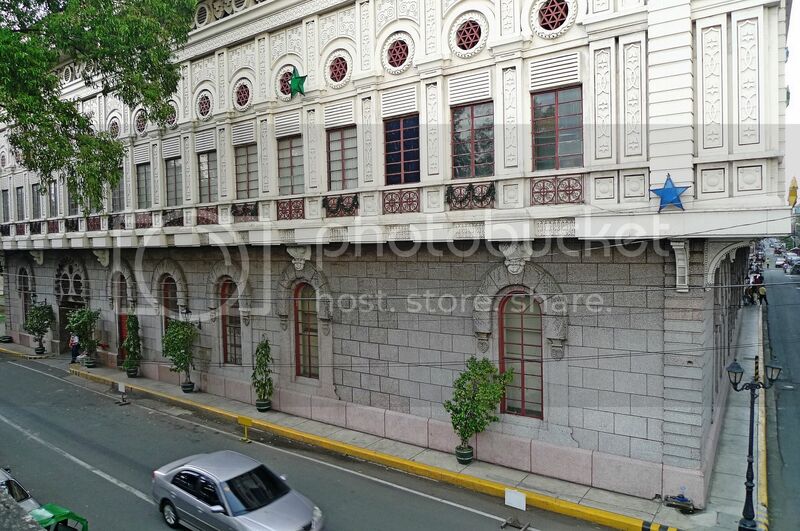 By the way, there are a few schools, colleges and a university in Intramuros which was really quite a surprise to me! 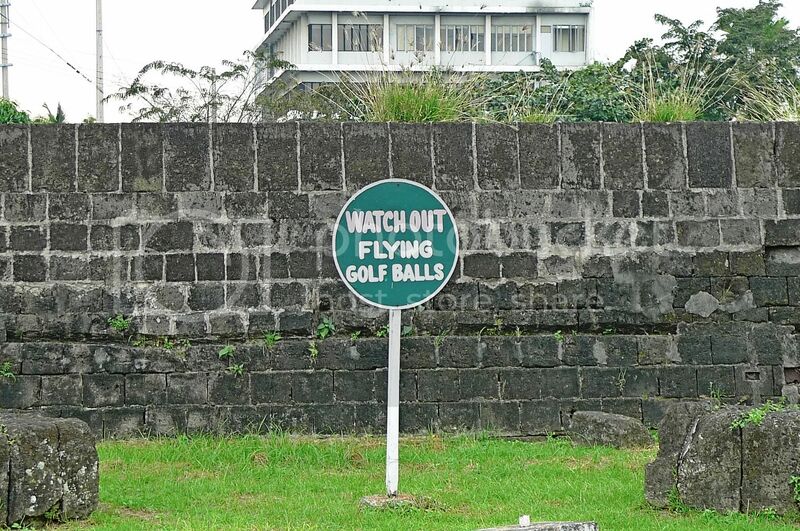 Due to its close proximity to the Intramuros Golf Course, you have to be careful and watch out for flying golf balls up here! After walking for some time here, I decided it's time to leave. "Where are the cannons I wanted so much to see?" I asked my driver who was waiting outside for me. "That's where we would be heading to next!" He replied. 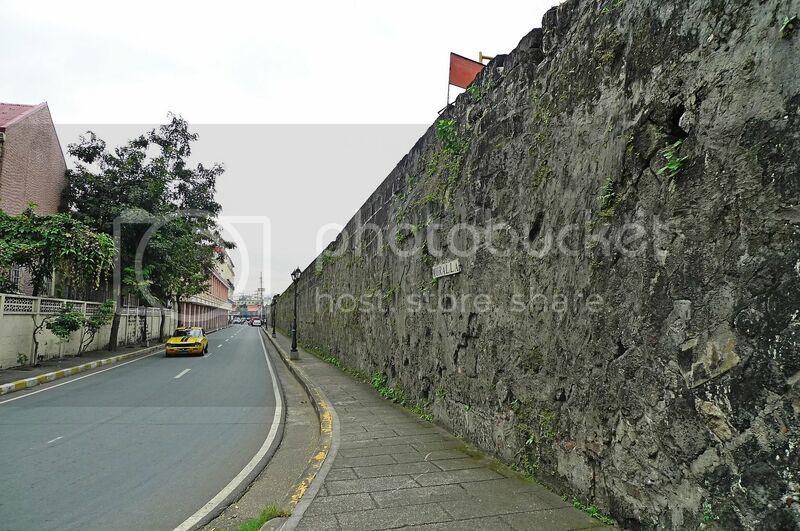 As we made our way there, I could see the tall, thick muralla or wall along the right side of the road. This place is amazing! 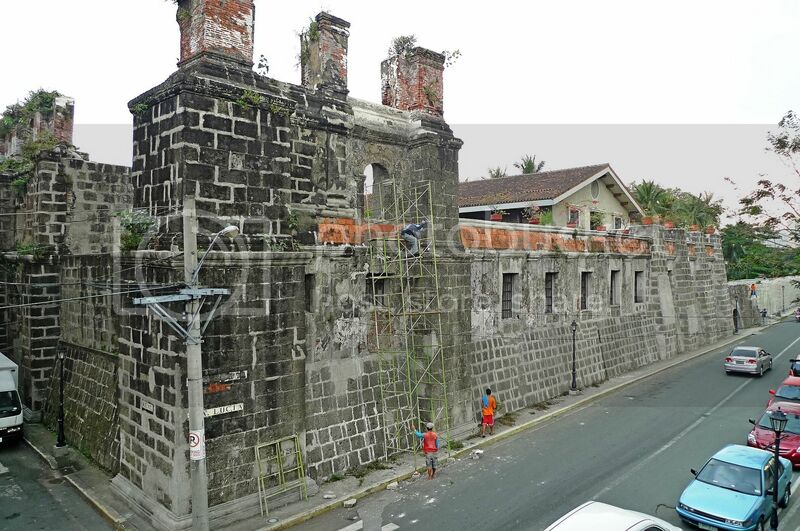 I really found myself loving Intramuros more and more. I could not wait to see those cannons! My pedicab driver said I could even sit on them! Wow! And that's exactly what I planned to do. I Love Hong Kong And Bruno Mars! My Very First Jollibee Burger!